Process Serving Technology: PAY NOW is HERE! Want a "Click Here To Pay Now" button on your invoice to get you paid ASAP? Hit us up, we will add it for you and get your money in your pocket where it belongs! Have another button that looks better? 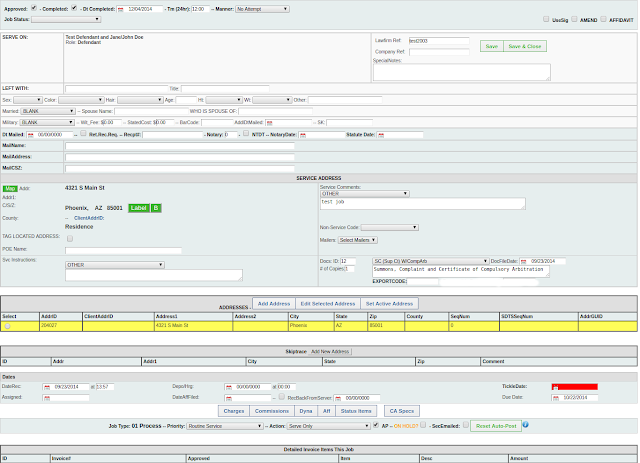 We can add that too, LDMax forms are fully customizable! ... one more thing... did you know that some of the other process serving software providers TAKE A PERCENTAGE OF YOUR CREDIT CARD FEES!? Servemanager takes 1%! WTF is that?! We don't skim any of your money off the top like that man thats NUTS! ..and we dont get no kickbacks from the credit card processors either. Shame on anyone that has to skim your money like that, that's about as low as you can go. Any fees for credits cards are between you and your credit card processor. Right now this feature uses Stripe and you will need an account with Stripe, but we may be hooking up other payment processors also. Stay tuned.